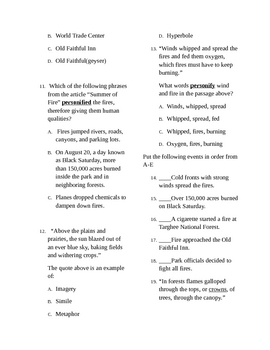 This is a 30 question multiple choice assessment for the story, "Summer of Fire." It is standards based, and covers approximately 10-12 CA standards. There is no key attached.